Are you thinking of what to give your friends and young colleagues on your gift list this Christmas? I am positive that they’ll love the gadgets and accessories from Promate – and you’ll surely love to know that you can now get them with freebies at National Bookstore and Powerbooks. Shop for school and office supplies for your favorite Promate gadgets and accessories and receive exciting freebies. 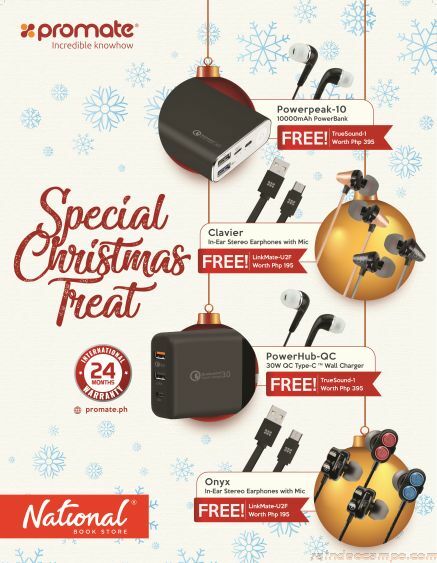 Get free earphones or a charging cable when you buy selected Promate models.